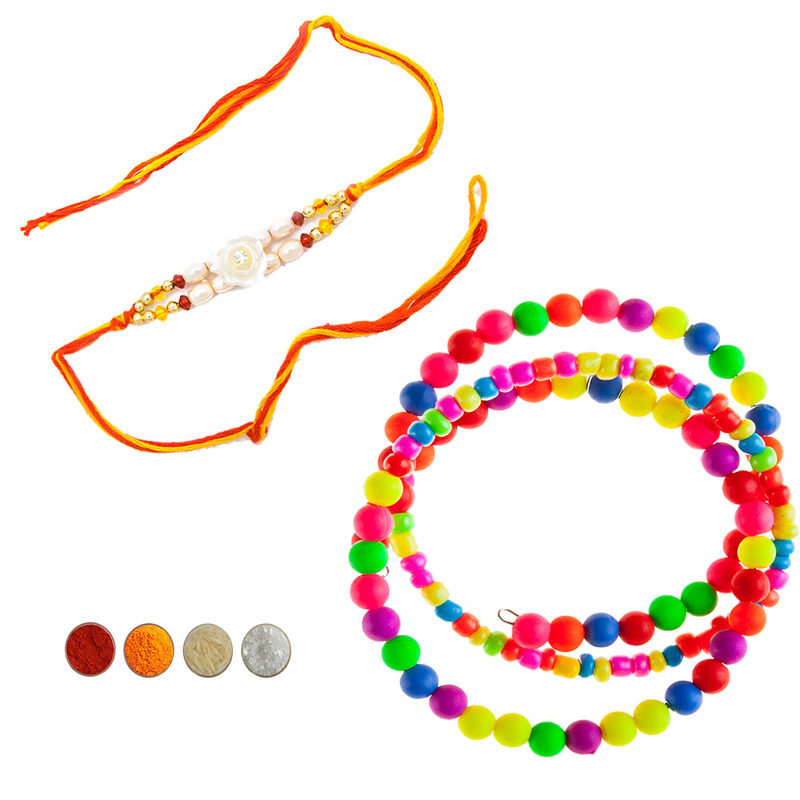 This is a beautiful lumba rakhi set for Bhaiya and Bhabhi brought to you by Elite Handicrafts. 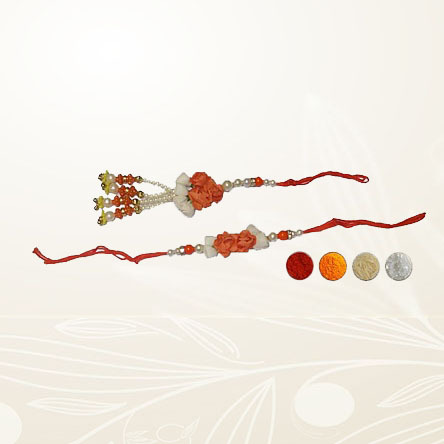 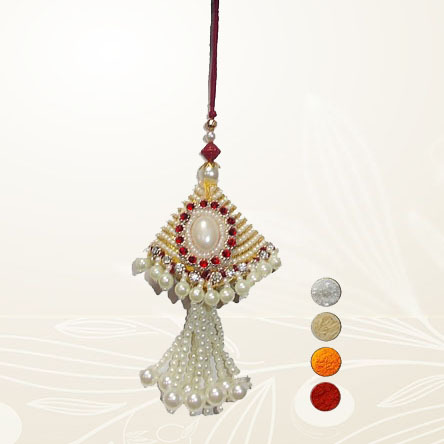 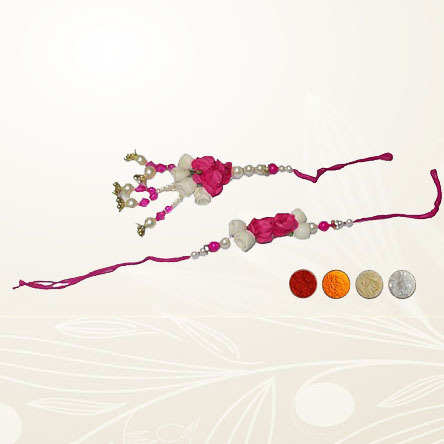 The rakhi has beautiful Rose flower motifs in white and orange color and embellished with Pearls and golden beads. 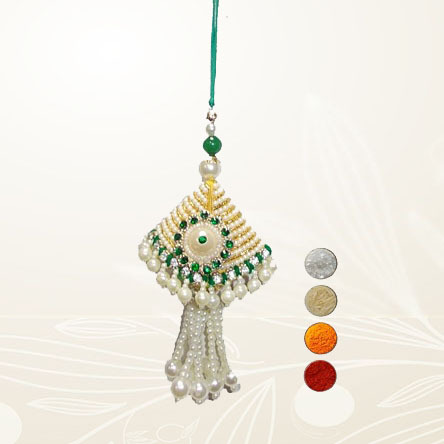 We are also offering complementary roli, chandan, chawal and mishri.